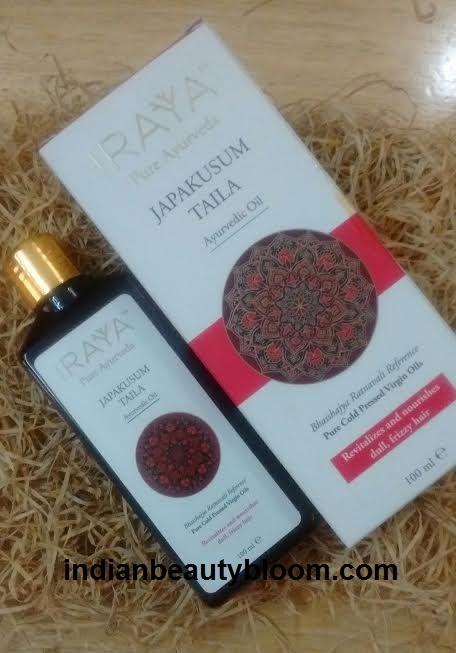 Today I am going to review an Ayurvedic Hair oil from Brand Iraya , it’s Iraya Japakusum Taila . 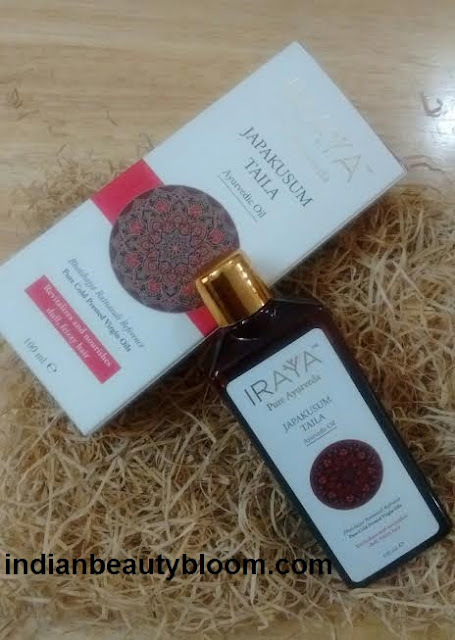 Iraya is an Ayurvedic brand which has Skin care & Hair Care products . They make their products from purest natural ingredients . They use natural preservatives and surfactants . Their products are free from harmful chemicals , Parabens , SLS , artificial perfumes & fragrance etc. 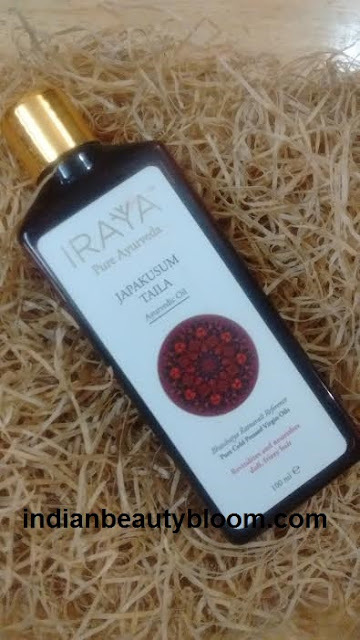 Iraya’s Ayurvedic oils are made from cold pressed oils . 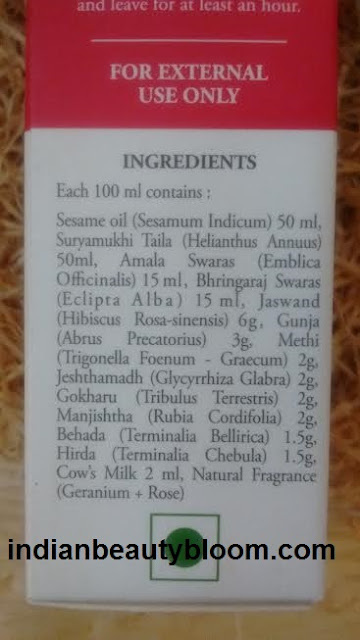 This Japakusum Taila has some great ingredients like Hibiscus , Bhirgraj , Fenugreek etc all of which are good for hair . Hibiscus -Its rich in Vitamin C and amino acids . 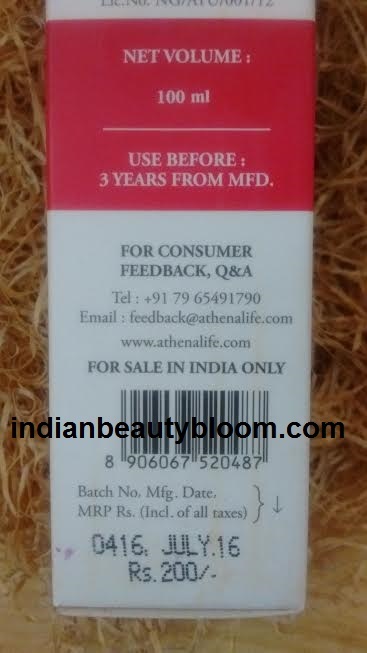 Fenugreek or Methi treats follicular problems and helps in strengthening the roots . Bhirgraj has high level of Omega 9 and makes hair thick . 1. All natural ingredients and no harmful chemicals , colors or preservatives . 2.Does not contains Parabens , SLS . 3.Does not contain Petroleum , Mineral oil or paraffin . 4.Does not contain any synthetic dye . 5.Contains goodness of Hibiscus , Bhirgaraj & Fenugreek , all of which helps to control hair fall . 8.Controls hair fall and promotes hair growth . Availability might be an issue as available only on online stores . 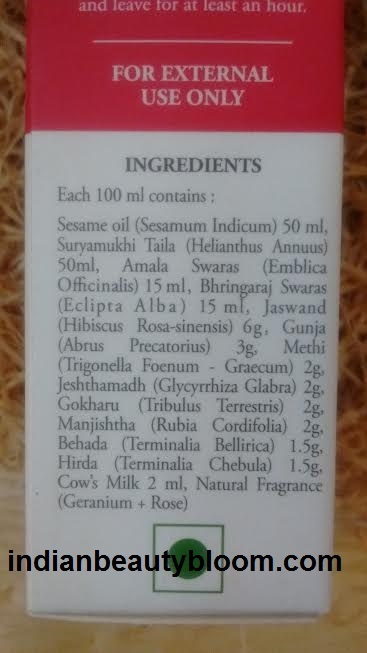 This oil is basically meant to control hair fall problem . The product claim to revitalizes and nourish dull and frizzy hair . I am using this oil past 20 days , it’s good . It has a strong fragrance which is Okay for me but many might not like it . The oil is red in color . I have used this oil thrice a week , massaging & oiling in the night an then shampoo next day . It has helped to reduce my hair fall problem to some extent ( as I am having hair fall problem since a long time ). After using it for some more time I can tell more about it’s benefits , but from my experience this is a good hair oil in affordable range .